Help! Some suppliers are threatening to pull their trade promotion funds for display programs because of low store compliance. It’s not entirely my fault! You need to get answers to two questions: What is a “reasonable” level of store compliance? And how can you structure display programs that are easier to execute and forecast? Many display compliance issues are rooted in supply chain service problems. Accordingly to a recent GMA study, manufacturer-to-retailer DC and retailer DC-to-backroom fulfillment rates are in the 98% – 99% range. The problem lies in the last SO feet from the backroom to shelf, with only a 91-94% fulfillment rate. In addition! many promotions don’t meet forecasts for these reasons (% of stores cited): Display space not available – 16%: short of skilled labor – 42%: signage not deployed – 22%: displays put up late – 33%. Overall, display compliance averages 59.4% across all grocery categories, with the highest display compliance rates in dry grocery at 77%. Typically, display compliance peaks at 61.1% on Wednesdays, and declines to 56.3% on Saturdays. With most manufacturers factoring in 80%-plus display compliance rates into the trade promotion financial models, there is clearly a gap between expectations and reality. Here are some steps you can take to protect your trade promotion funding. Agree on the promotional goals, merchandising expectations, and sales/profit objectives up front, in the promotion contract. In addition to the ad & display planner, a letter should go out to all stores specifying these execution elements and expectations. Make sure the vendor has enough production capacity to supply the promotional product being merchandised. Many vendors are eager to feature and display (F&D) new products right after they’ve hit the shelf, but then are plagued with start-up problems. Make sure these bugs have been I out. Check the promoted product’s volume history. To forecast properly, you need good baseline and promotional sales history on a product under consideration for a display program. Consider requiring a threshold level of promotion sales for a product to be given primary feature and display space. Niche products and new items are notoriously hard to forecast. 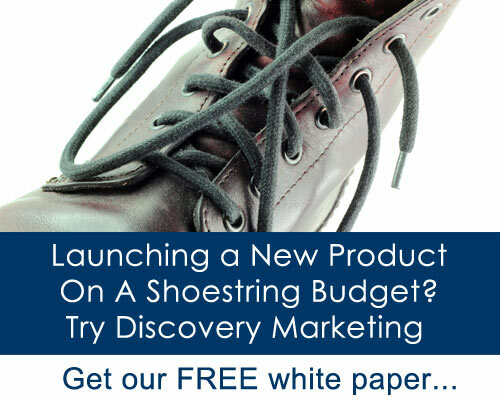 Be sure they fit your promotional theme, as well as drive traffic or related-item sales. Are the gross margins and total margin dollars attractive enough? Make sure that the promotional item has strong baseline volume, as well as promotional gross margins before considering it for display. Also, consider the promotional sales lifts for the line. For example, let’s assume that grocery chain 7 is considering two different lines for an upcoming back-to-school F&D promotion. Line A has $200,000 per week baseline volume, 20% promotional gross-margin, and typically has a promotional sales lift of 150%. Line B does only $75,000 per week in baseline volume, but has a 30% gross margin, and a 500% promotional sales lift. While Line A ($200,000 X 20% X 2.5 = $100,000 margin) is a larger turn volume item, Line B ($75,000 X 30% X 6 = $135,000 margin) is more impulse-oriented and delivers better total promotional margin dollars. Therefore, Line B may be a better choice, particularly if you have exclusive distribution in the market. So if your vendors are balking at future F&D programs, implement these simple steps. If you can get your in-store display execution above 80% compliance, you will be outpacing the industry and providing your vendors with a better trade promotion ROI to justify future display programs. 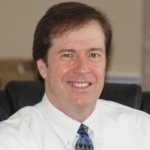 Kevin Janiga is president of Winsights Marketing, a Tampa, FL-based marketing, sales, and strategic planning firm. It specializes in helping small and medium sized CPG food and beverage manufacturers develop winning new products and marketing communication programs. 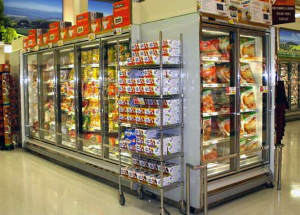 This article was originally written for Refrigerated & Frozen Foods Retailer magazine.